I believe thats a trolley car, given the door is 3ft off the ground and the dual sets of power lines up above, but trolley cars are exempt from proper rail crossing safety equipment like trains have to have. 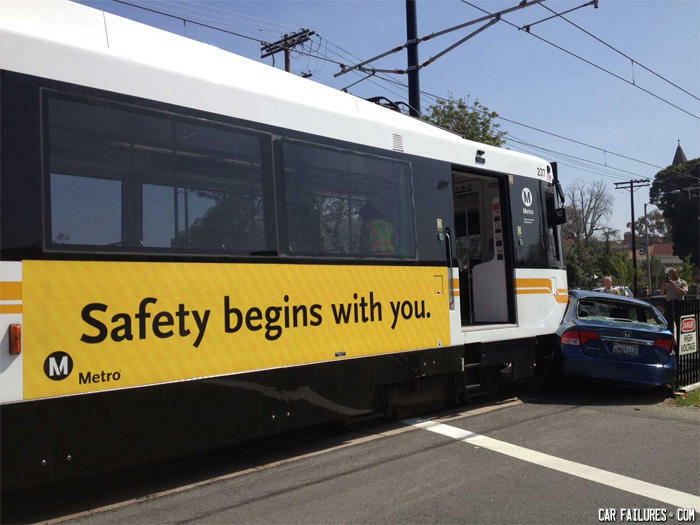 So the trolley company is partially to blame. what do you call 100 muslims on a plane? Give me some sugar... honey.